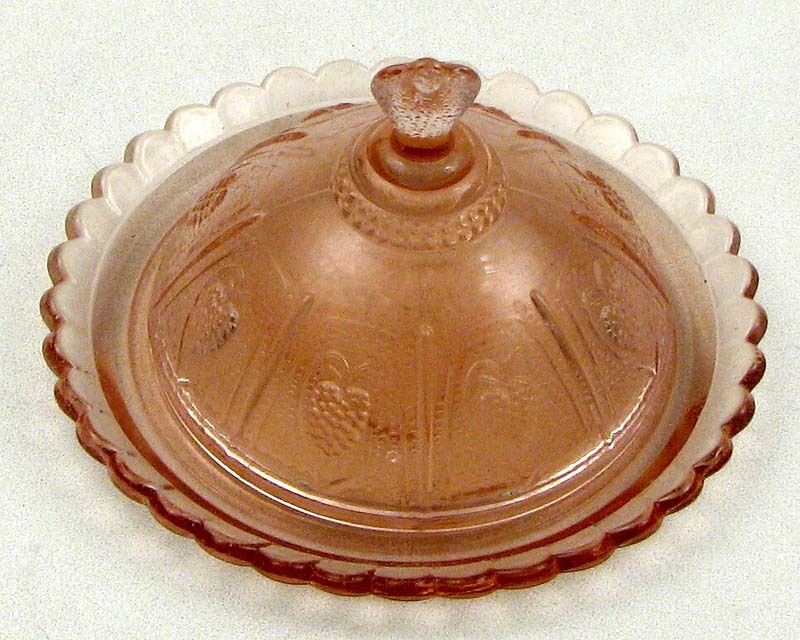 Measures: Glass replica butter dish that has strawberry design impressioned over the dish and plate. Dishwasher safe. Measures 4.25"W x 2.75"H.